Our decision to enter a community show garden in the annual gardening festival in Manchester was made with enthusiasm but also trepidation. We are passionate about our project, can talk for hours about it and spend even more hours out in all weathers working to achieve the goals of our group. But we are all volunteers with many other responsibilities in our lives: work, family, homes, pets and an extensive zombie TV viewing schedule – oh wait that’s just me! We knew committing to a show garden would be a lot of additional work, but in the end we decided it was worth it. The build-up was hectic not helped by the fact I was on holiday for the two weeks leading to it and only arriving back in the UK on the morning of our planned installation day. But that’s why having a project team makes all the difference, you can’t be a community group with just one or two of you. 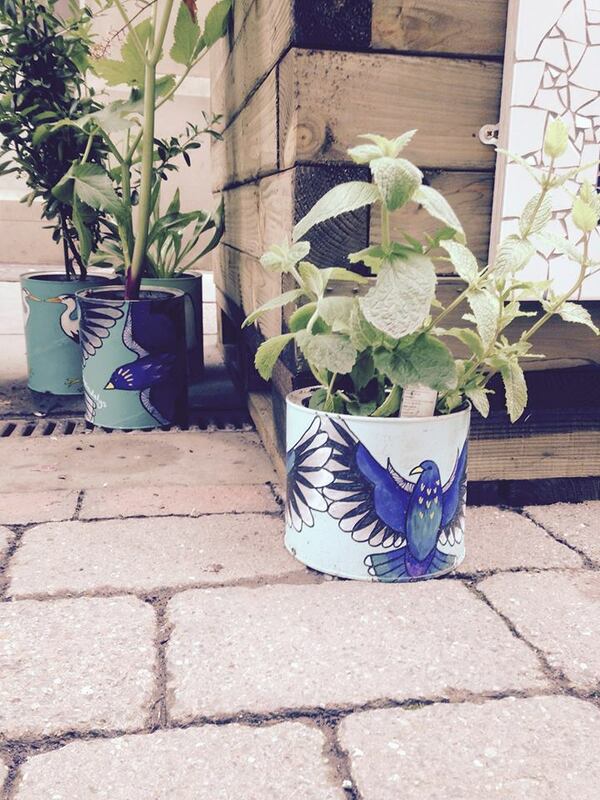 We rallied and our garden and art was installed already for the first day. Our theme was very simple: a garden on every street corner. We wanted our show garden to capture the spirit of Gorgeous Gorse Hill that every mundane space can be made gorgeous with the addition of plants and art. Why have a dull bollard when you can add art and mosaicking, why have a sad patch of grass verge or forgotten patch of soil when you can add bulbs, flowers, fruit, vegetables and shrubs of all kinds. Cities don’t have to be devoid of nature they can actually encourage and support it. We were fortunate to have the help and involvement of some great people who if we hadn’t I think we would have never achieved it. The skills, knowledge and artistic talent of: Brenda at Bud Garden Centre, the beautiful creations from Caroline Daly, the hard work and talent of Blue Sky at Groundworks and the legendary Amanda of Manchester Mosaics. Our show garden was the smallest in the whole show, we were first timers and I’d struggle to describe any of us as particularly horticultural but this in itself was what we hoped would inspire others. 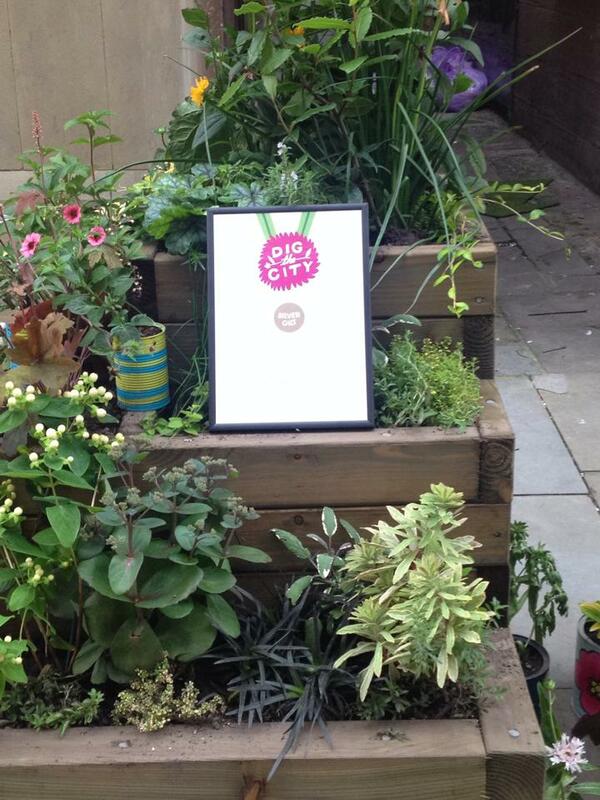 Although we knew there was a competition for best in show we didn’t really think too much about it, we knew we wouldn’t win – we’d seen the beautiful gardens by Hulme Garden Centre & Growing the City from 2014. On the first day of the festival the judges came round to look at all the gardens and talk to the projects who’d developed them. The lovely judges were really interested in what we had to say (even though they were on a tight schedule); it was great to tell them not only about our garden but about our whole project’s ethos. When we were invited to the awards, I was very happy to go along and cheer for one of the marvellous gardens we’d seen. But what was this, there was just an award for Best in Show there were other awards (like at Chelsea Flower Show!) where each garden was given either a bronze, silver, silver gilt or gold. Oh my, I was all of sudden very nervous. We didn’t have to wait long, when I heard Gorgeous Gorse Hill gets a……… my heart was in my mouth……. Silver gilt! I was over the moon. We learnt a lot doing Dig the City, it was incredibly hard work but really worth it, so many people who see our work on their journey to work or who live in the area came to tell us how much they love it. 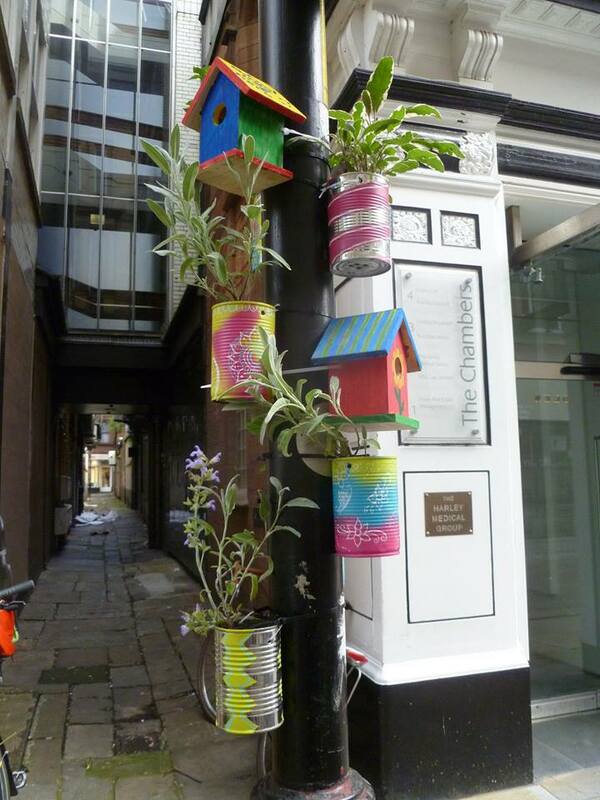 We learnt that the small things can inspire (Georgia’s beautiful delicately decorated tin cans); like our painted soup cans fastened to lamp posts, we learnt that you can encourage others to be a little brave and enact their own bit of guerrilla gardening. 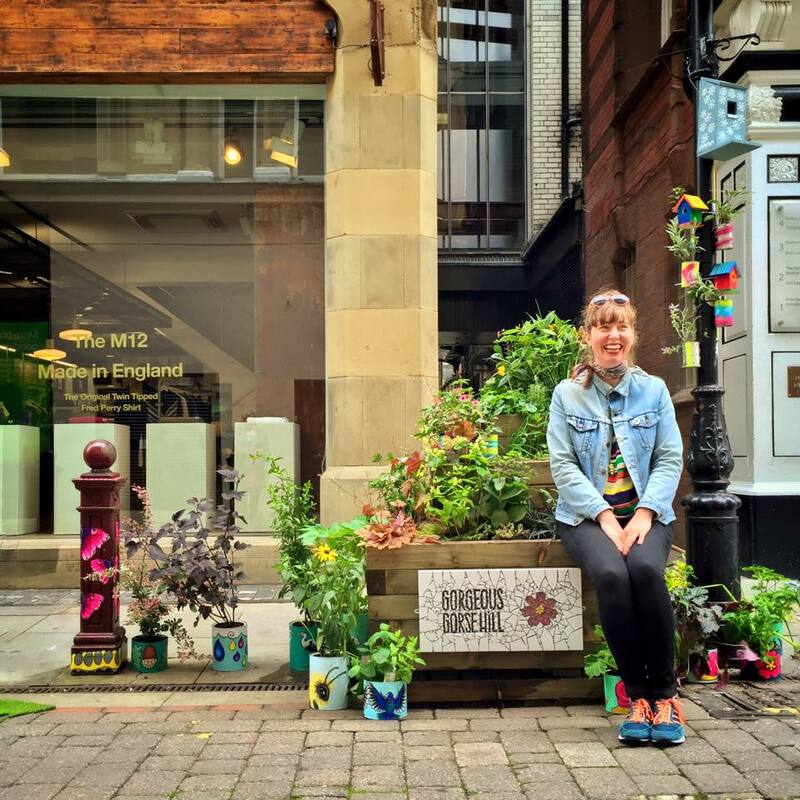 I’m not sure I we’ll do Dig the City again, I would however encourage other groups to give it a go but even if you don’t think you can manage that maybe you could add a little garden to a street corner near you.